The Willkommen Committee of the New Ulm Area Chamber of Commerce, along with New Ulm’s Mayor Bob Buessmann, celebrated the opening of the The Tunnel Car Wash with a ribbon cutting ceremony. Owners Rick and Joan Jensen spoke of how much time and research happened before the opening of the Tunnel. Joan and daughter Nicole Briggs even attended ‘Car Wash College’ in Florida! The Tunnel uses state-of-the-art equipment and can clean up to 60 vehicles in one hour! There are also free vacuums for customers to use during business hours, and unlimited monthly passes are available. The Tunnel Car Wash is located at 2501 South Broadway right next to Jensen Motors, and is open 7 days a week. 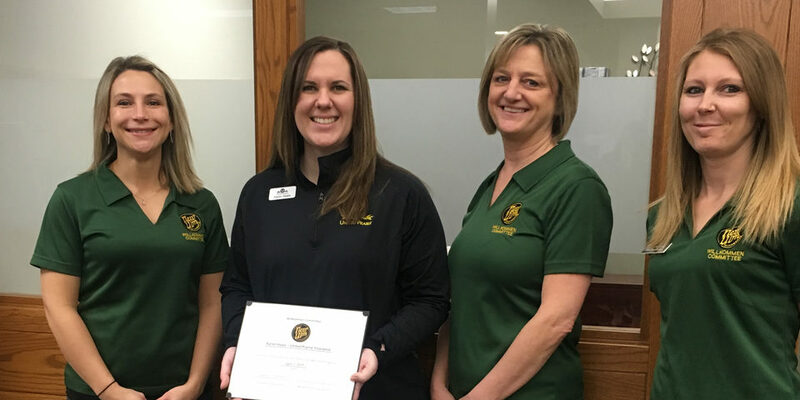 Welcome, congratulations, and thank you for your investment in a chamber membership! 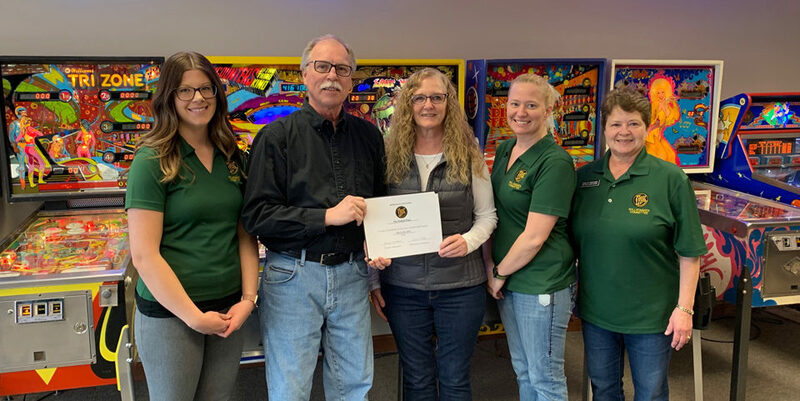 In the photo are: Lori Pickell-Stangel, United Way of the Brown County Area; Rick Jensen – owner, Joan Jensen – owner, Nikina Howk – manager, The Tunnel Car Wash; Sandy Scheibel, KNUJ. Click here to watch a video of the ribbon cutting.